Download "Document Freedom Workshop 2012. DFW 2012: CMS, Moodle and Web Publishing"
3 About Drupal About Moodle What is CMS Content Management System Content Management System Simply put, a CMS is a website you build using the website itself. 5 About Drupal About Moodle Main features of CMS Allow for a large number of people to collaborate Control access Facilitate storage and retrieval of data; Control data validity and compliance; Reduce duplicate inputs; Improve communication among users. 14 Verifying LAMP installation Online On personal Computer Installing Drupal Installing moodle In your web browser address bar type and hit the return key. If you see the Fedora/Ubuntu test page you have done everything correctly. The default DocumentRoot is /var/www/html directory. 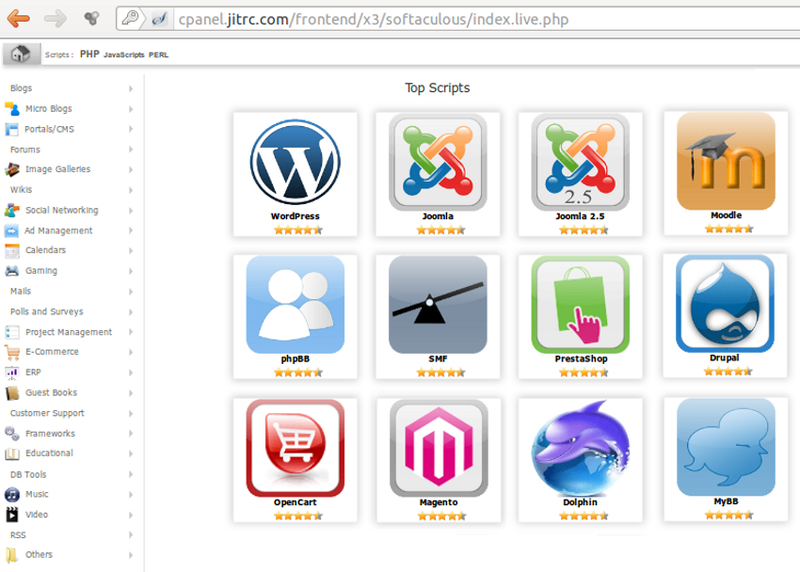 Place your HTML and PHP scripts in /var/www/html directory and view them in action at from your web browser. 16 Setting up MySQL What is CMS Online On personal Computer Installing Drupal Installing moodle By default MySQL s root password is set to blank. Change it immediately. mysql -u root SET PASSWORD FOR localhost = PASSWORD( NEWPASSWORD ); Install phpmyadmin. 18 Installing Drupal What is CMS Online On personal Computer Installing Drupal Installing moodle Download drupal and execute the following steps: tar xvfz drupal-6.25.tar.gz -C /var/www/html cd /var/www/html/drupal-6.25/sites cp default/default.settings.php default/settings.php chmod -R a+w default chcon -R -t httpd_sys_content_rw_t /var/www/ Create Database for drupal Open browser and goto and configure it following the wizard. 19 Installing moodle What is CMS Online On personal Computer Installing Drupal Installing moodle Download moodle and execute the followint steps: tar xvfz moodle-latest-22.tgz -C /var/www/html chcon -R -t httpd_sys_content_rw_t /var/www/ Create Database for moodle Open browser and goto and configure it following the wizard. 20 Themes in Drupal Packages of files in a directory that you upload into drupal s theme space (/sites/all/themes) Themes adjust the site layout and style. You can easily develop your custom theme copying from another or even from scratch. 22 Nodes in Drupal A node is the primary form of content in a drupal site. At a minimum it is a title and a body, and can be specialized. A page and story for example are node types that have a specific node settings. A node type is a blueprint for creating instances of content of a particular type. 24 Blocks and Views Blocks are added by modules. Blocks can contain views, widgets, menus, nodes (in special circumstances), and panels. Blocks can be moved around through the UI Views is an interface for making customized lists of the data contained in the drupal database. 25 Drupal Users All CMSes (wordpress, Joomla, Drupal) have a user login system; users have a username/pw. Drupal also supports the concepts of 1) Roles and 2) Permissions. Roles are user designations to groups having the same set of permissions. 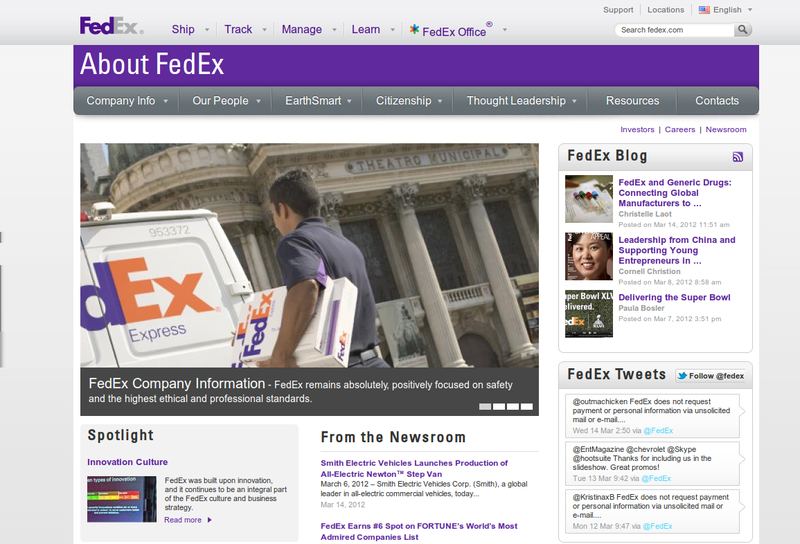 27 Create About Page In the Navigation (left sidebar), click Create Content Click Page under the content type listing. In the Title, type About Us. In the body type âthis is my first drupal page. Expand the Menu settings fieldset. In the Menu link title type About Us. Expand the URL path fieldset and type about-us Click Save You should now see the About Us menu item in the Primary Link navigation. Click it to go to this newly created node. 28 Build Menu Under Administer > Site Building > Menus: Click Primary Links On the Primary Links List Items page, click Add Item In Path, type contact. In Menu link title, type Contact Form. Click Save. You will notice that Contact Form appears now on the far right of your primary links. Click it to go to the contact form. 30 Getting Started with Moodle Moodle has a modular design so adding the Activities that form a course is a simple process: Course creation privileges are assigned to the teacher. Select from one of three course layout; Topic, Weekly or Social format. Click Turn editing on within the blank course template. Create the course! 31 Course Management Features 1 Assignment: Used to assign online or offline tasks; learners can submit tasks in any file format (e.g. MS Office, PDF, image, a/v etc.). Chat: Allows real-time synchronous communication by learners. Forums: Threaded discussion boards for asynchronous group exchange on shared subject matter. Participation in forums can be an integral part of the learning experience, helping students define and evolve their understanding of subject matter. 32 Course Management Features 2 Quiz: Create all the familiar forms of assessment including true-false, multiple choice, short answer, matching question, random questions, numerical questions, embedded answer questions with descriptive text and graphics. Calendar: Keeping a calendar of events is important to both the learner and course instructor. Events can include Global events, Course events, Group events or User events. 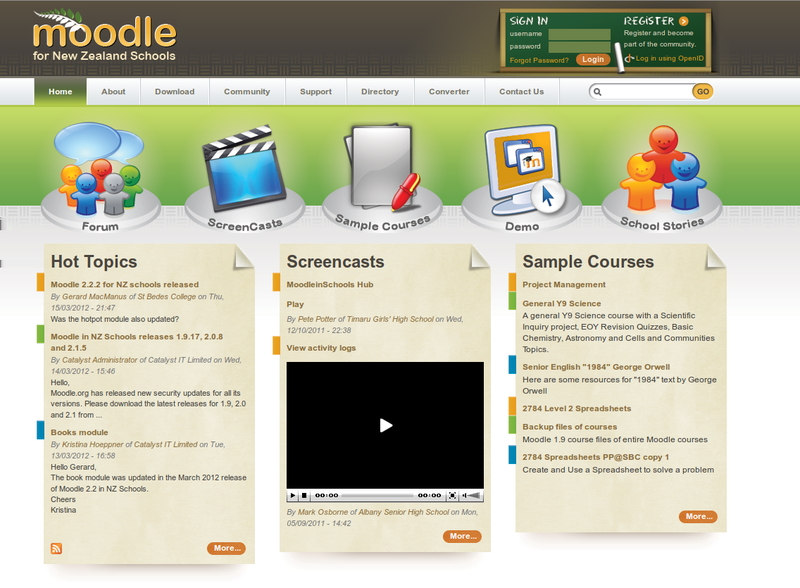 33 Adding Quiz in Moodle Go to settings Site Administration->Courses->Add/Edit Courses. Here you can add a new course by filling up the basic details. The next page comes with a weekly outline, showing a list of coming weeks and allowing you to add resources/activities. You can add a quiz in the activities list. Resources such as files, URLs, etc can also be added here. 34 Adding Questions to Course To add the questions you can go to settings Site Administration->Question Bank. Here you get the option to add questions to the course. The questions can be arranged in categories. Once you select the category to add the question, you can click the create a new question button. Now you get an option to select the type of question you want to add. This is an exhaustive list of almost all types of questions e.g. multiple choice, matching, short answers, true/false, and so on. You can select and add the question here. 35 Adding Questions to Quiz It may seem confusing why the questions have to be added again to the quiz after adding them to course, but it is necessary that a question bank is maintained so that questions can be easily managed. To add the questions to the quiz, first go to the quiz page. Then go to settings Quiz Administration->Edit Quiz. This page shows you the current questions available in the quiz and also the contents of the question bank. Here you can directly add questions to the quiz or add question from the question bank. 36 Final settings for the Quiz Now the quiz is ready. You have to give the privileges to the concerned people whom you want to have this test. Go to settings Site Administration->Users->Enrolled users. Here you get a list of people enrolled for the course. Now you can add any user you want to the course. You can also set self enrollment so that any user can enroll him to the quiz. LEARNING DRUPAL. Instructor : Joshua Owusu-Ansah Company : e4solutions Com. Ltd.
Kollaborate Server Installation Guide!! 1. Kollaborate Server! Installation Guide! All the materials and/or graphics included in the IceThemetheme folders MUST be used ONLY with It TheCityTheme from IceTheme.com. Trainer name is P. Ranjan Raja. 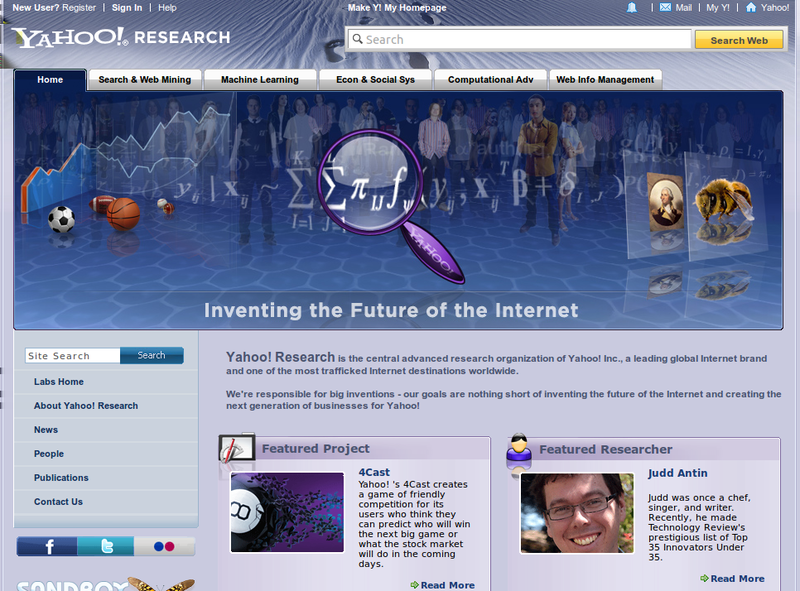 He is honour of www.php2ranjan.com and he has 8 years of experience in real time programming. Installation Guide 2 CS-Cart Installation Guide 1. System Requirements Web server environment CS-Cart is developed to meet most server configurations ranging from shared hosting accounts to dedicated servers. MediaWiki 1.1. Beginner's Guide. Install, Jeffrey. MediaWiki-based site PUBLISHING. manage, and customize your own. Mizanur Rahman. T.
MAMP 3 User Guide! March 2014 (c) appsolute GmbH!